From your pic, I'd say you look amazingly like Paul...! I think we need an administrator here! I hope it is allowed I want to see who you look like! Yeah, of course it's allowed. A lot of people have posted pictures of themselves, including Joe. That is me in that picture. I am a cat. In a suit. With delusions of presidential grandeur. Now if you would all kindly excuse me, I gotta go cough up a hairball. Yep, pretty sure that is absolutely fine. Go right ahead! There's nothing stopping anybody from using a picture of themselves for their avatar! Oh my God that made me laugh so much! I dimly remember a member who seemed to have a pic of himself, he hasn't been around much lately, but his name was something with "Esteban" in it...? I always imagine that you all look like your avatars. So Zig is John Lennon circa 1968, Joe is George from A Hard Day's Night and vonbontee has an Apple for a face! I'd love to know what everyone really looks like but that's the good thing about forums like this (as opposed to something like the dreaded FB) we can all communicate without looks getting in the way. I've seen some horrible comments on the aforementioned Facebook where peoples looks get torn to shreds by total strangers! However, Beatles fans are, by nature, nicer and more sensitive souls who would never stoop so low. I may be generalsing somewhat! Hate having my photo taken and it will never appear here. I read a long time that you own your own image so no one can take it without your consent. No idea how that works with CCTV etc but even if not true its a great way of stopping people from taking my photo as no one ever challenges, they just put the camera down or go and annoy someone else. 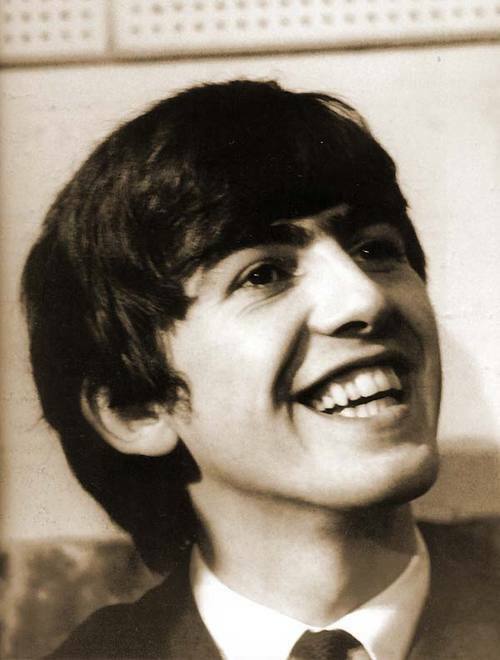 George's gorgeous face is always welcome in any post! I hate having my photo taken too, I'm not very photogenic! I look fine in real life then i'll see a picture of myself and think i need a face transplant! I espcially hate it when i'm having a somewhat boozy night out and the next day there are loads of unflattering drunken pictures of me on Facebook! I would come off it but my best friend is travelling for a year and it's a great way to check she's alive and well! The truth is out. We are all our actual icons. Nice to meet you Yoko, I have many questions for you if you have a spare 10 hours? !